And hope that everyone catches it like the Flu. The Internet is bursting at the seams with content and information. It is important to stand out so you are getting the most out of your B2B marketing strategies. I recently read a book called Contagious by Jonah Berger, Professor of Marketing at The University of Pennsylvania. Berger spent decades researching (so you don’t have to) exactly what it takes to make something go viral. He used these same principles while writing this book to prove that it works. I can confirm that they do, in fact, work because I couldn’t stop reading it. Here is what I learned. With the rise of social media and the multitude of social tools available to us, we are constantly sharing information. We share information with one another to appear knowledgeable, important, or just generally appealing to others. Social currency is the belief that value can be earned from social participation as a means to make us look good. Jonah Berger identified three ways to get consumers talking about their favorite brands and to share this information with others in order to earn social currency among their peers. When people discover something remarkable, they can’t wait to be among the first to tell everyone else about it. Berger uses the example of Blentec Blenders. Blenders on their own seem standard and fairly unremarkable, we can all agree. You put in a bunch of ingredients and voila, you have a nice jug of mush. It does what it needs to do. So, how do you make everyone go bananas about a blender? Blend up an iPhone, golf balls or just about anything really. Blendtech gave us high entertainment value by blending unconventional items while showing how powerful their blenders are and in the process created a trigger. So, next time you think about blenders, Blendtech will be top of mind and you’ll have a great story to tell your friends. By identifying what’s remarkable about your brand or product, you will create social currency among viewers and get people talking about your product. People love playing games. They like to be the best among their friends and they like to win in order to earn bragging rights. A good example of this is the “Challenge” feature of the popular activity tracker, Fitbit. You can challenge other friends with Fitbits to weekly challenges with a set goal. The first person to reach this goal, wins. These achievements can be shared with friends on social media. This is not only a way for Fitbit to encourage users and to become more active, but to increase the popularity of their devices and bring awareness to those who don’t currently have one. Others who don’t have a Fitbit see these updates and want to join in on the competition, so they are more inclined to go out and buy a Fitbit of their own. When Google launched their social network platform Google+, it was by invite only. You had to be invited by someone who already had an account. What was Google’s secret? Probably nothing. They likely just wanted to limit the number of people using the website while they were still in beta, however, they essentially put up a wall and let the curiosity fester. Whether it be intentional or not, Google, and those already on the inside created a lot of buzz and intrigue and people wanted to know what was going on behind that wall. When people finally got their invite, it made them feel like insiders. When anyone spots a small green lizard they immediately say, “Hey look, it’s the GEICO lizard!”, even though we all know very well that that’s not the same lizard, nor can lizards talk. Whatever it is you’re selling; you will want to be top of mind when a customer goes to purchase something. The goal is to associate your company or product with something that people will encounter often, such as; small green lizards, holidays, jingles, or symbols. This will help customers be triggered to purchase your product. Happiness makes us want to share. Sadness makes us want to connect and empathize. Fear makes us want to cling to something, and anger makes us stubborn. Emotions are tied to experiences. For example: Since the beginning, Coca-Cola has associated its brand and product with very positive and happy experiences, the same way they want you to feel when drinking their beverages. Red Bull’s brand identity has always revolved around extreme sports. From dropping a man off the edge of the atmosphere to hosting the coolest bicycle stunts, their commercials always instill a sense of awe and adrenaline. Whenever we watch these videos, we feel like we can conquer anything. By focusing on igniting emotions, like Coca-Cola and Redbull, your audience will be motivated to share it. Monkey see monkey do. If you were walking down the street looking for a bite to eat, you would most likely avoid the empty restaurant and go for the one with more customers. Everyone else is there so it must be better than the other place. This is because we base a lot of our actions on those we see around us. If a lot of people buy something, it must be good. 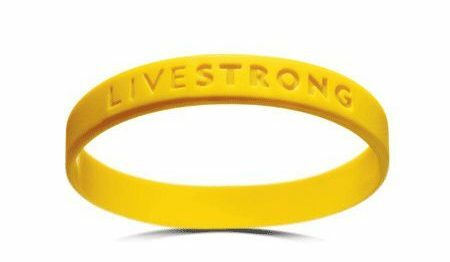 It is the same reason Livestrong bracelets were so popular; everybody had one, they supported a good cause, and they were easily identifiable. If people see others using your product, they will be encouraged to check it out for themselves. By providing some kind of practical value, you help your customers get better at what they’re doing. Whether it be FAQ’s, blog posts, infographics, tips and tools, or resources, the practical value not only helps them get better; they might want to share it with people they think might benefit from it. We tell stories to gain social currency, share emotions, and to pass on helpful tips or advice. By creating or sharing stories you provide a way for customers to connect with the product or company on an emotional level and it will become easier to share that information with others. Stories are what people remember, even when they forget names and faces, they rarely forget the story and how it made them feel. Being contagious will help you reach out to the consumers who are interested in your product or brand and who need your service. By providing messaging that makes consumers want to talk about, and share, your product and brand, you will get the highest return on your marketing goals.